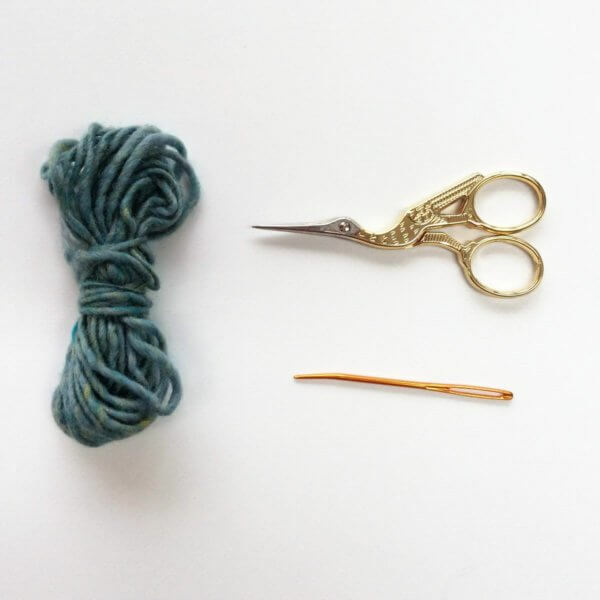 It happens to all of us: dropping a stitch in the middle of your knitting… When using a somewhat sticky yarn it’s usually just a matter of placing the stitch back on the needle and continue as before. When using a smooth, slippery yarn, it can however be that the dropped stitch runs down in your work, leaving a wake loose threads behind. The same can happy with a less smooth yarn, if it isn’t detected at first that a certain stitch has escaped from the needles. Don’t panic, though! 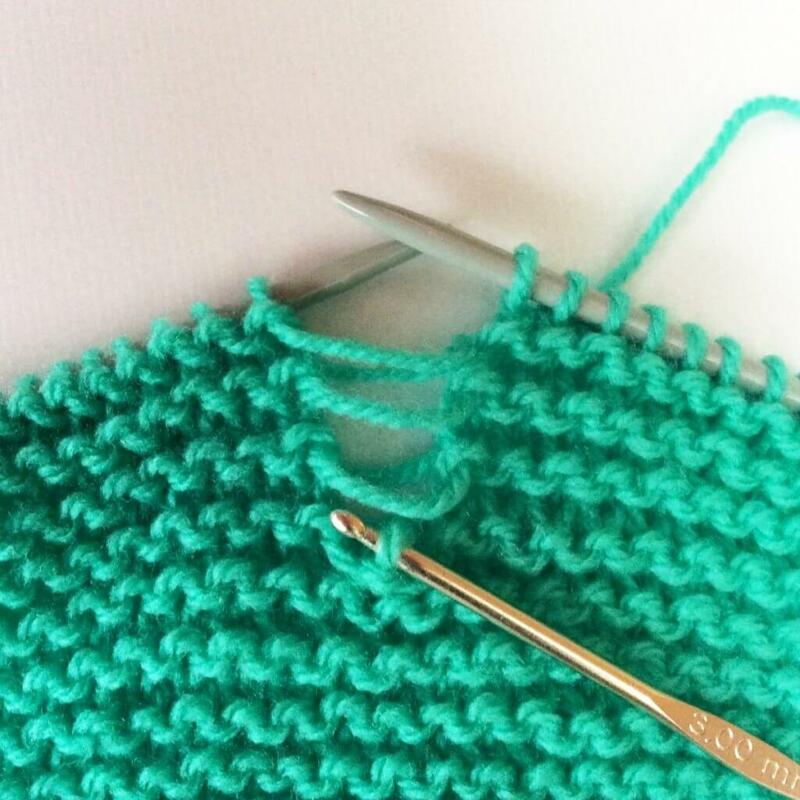 Picking up a dropped stitch in plain knitting like stockinette or garter stitch really isn’t that hard. 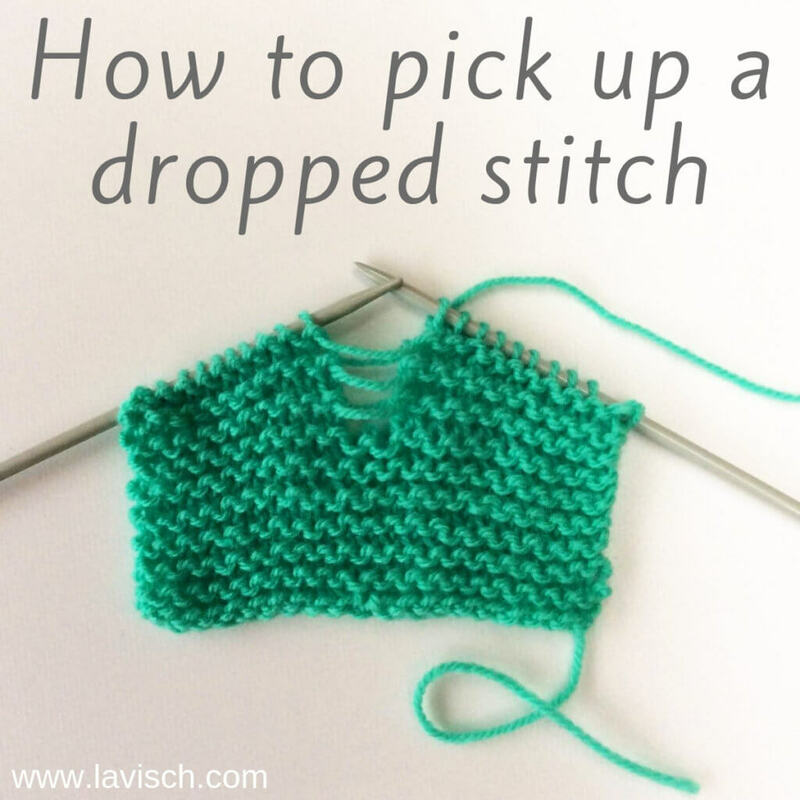 In this tutorial, I’ll show you how to pick up a dropped stitch. All you need is a crochet hook in size similar or a tad smaller than the size knitting needles used. 1. 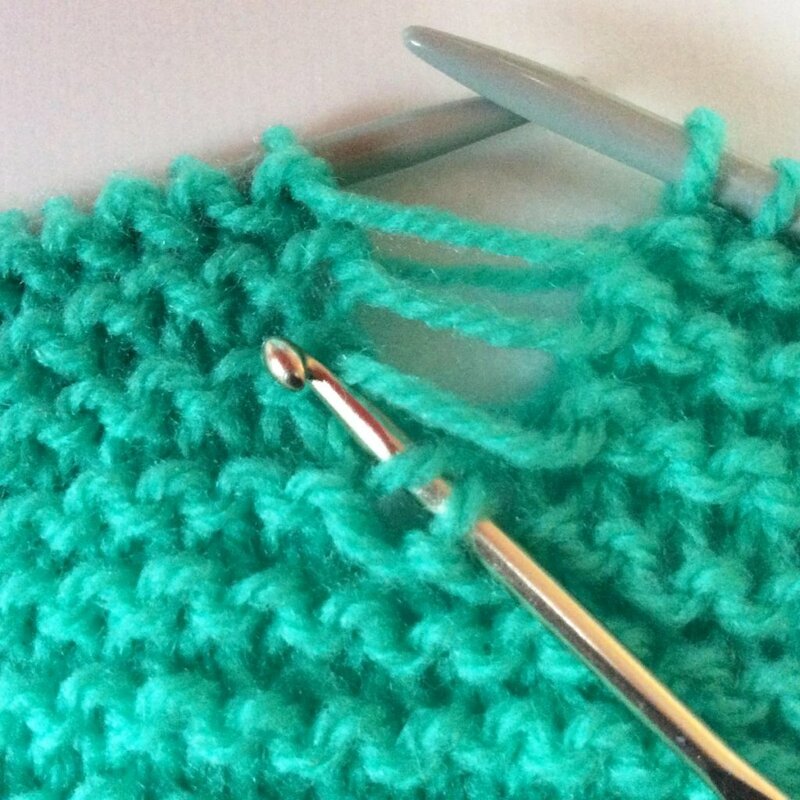 First, get your crochet hook and catch that run-away stitch before it runs down even further! Pay attention to the stitch itself and the one directly below: see that it has a purl bump directly below the captured stitch? 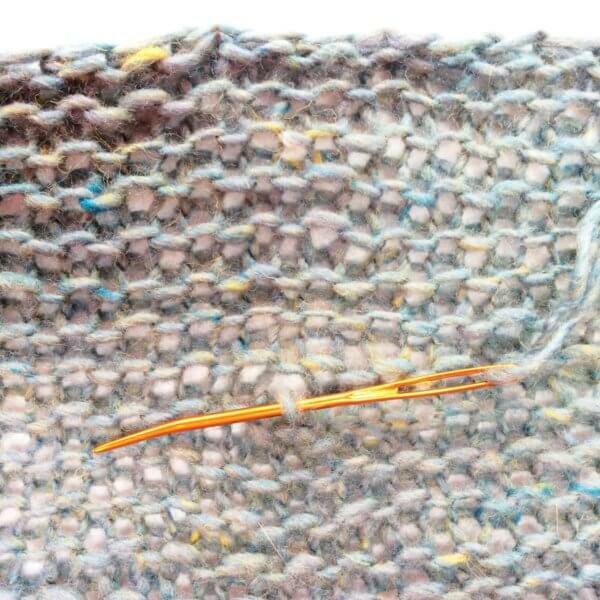 This means that in this swatch (in garter stitch) the next stitch to be worked is to be a knit stitch. 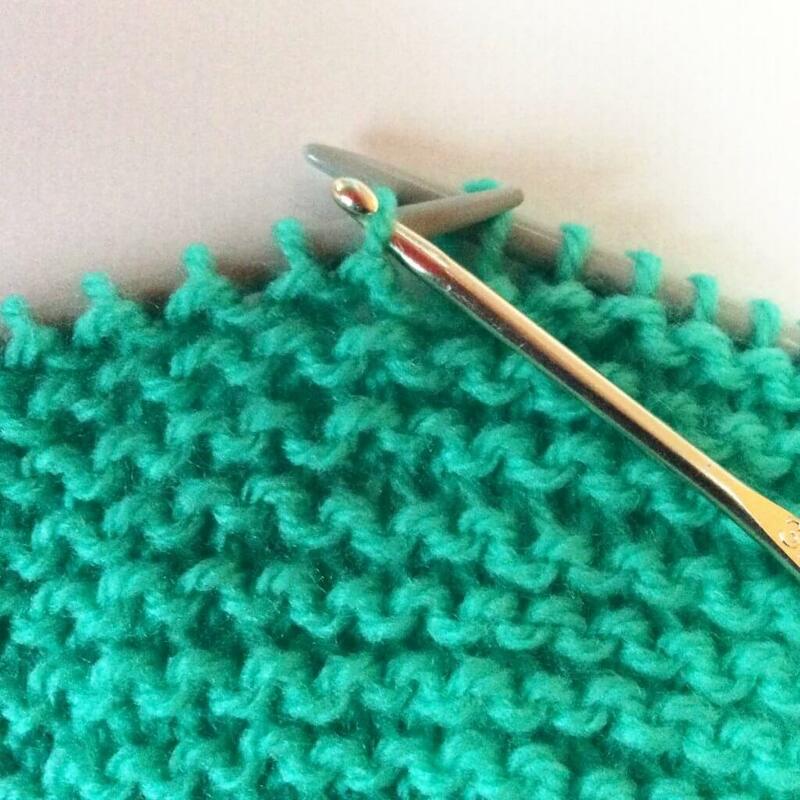 For that reason, I insert my crochet hook from the front to the back through the stitch. 2. Next, grab the loose thread directly above and pull it through the first stitch on the hook. 3. In this picture you see how this looks once the crochet hook has been removed. Now, if we were picking up a dropped stitch in stockinette fabric we would just repeat steps 1 and 2. We are, however working in garter stitch, so a few more steps are needed. 4. 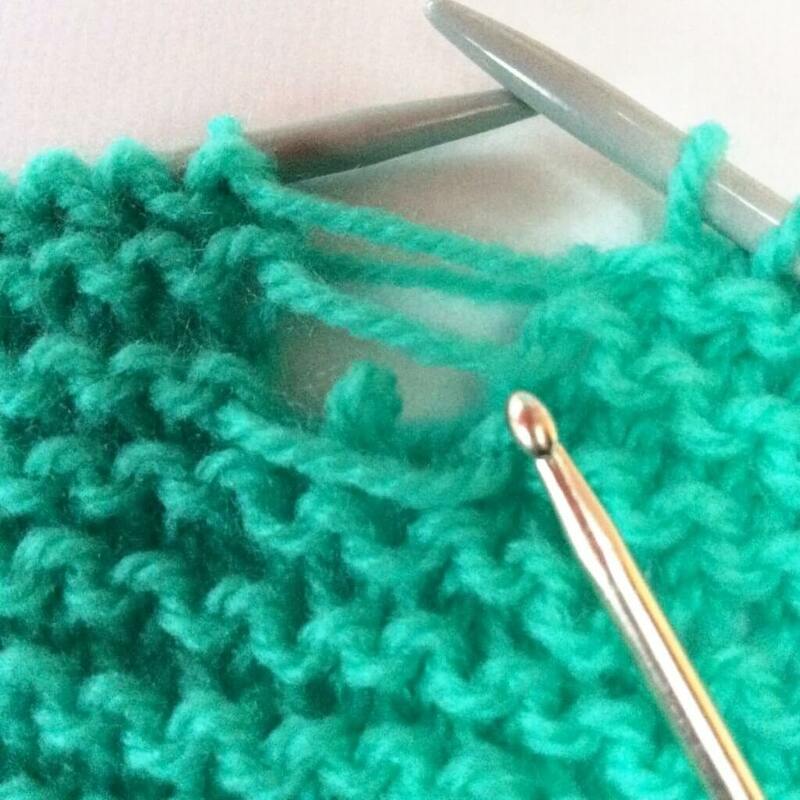 For the next stitch to be laddered back up, we need to work a purl stitch. To start, I move the next loose thread directy above the stitch from the back to the front of the work. 5. 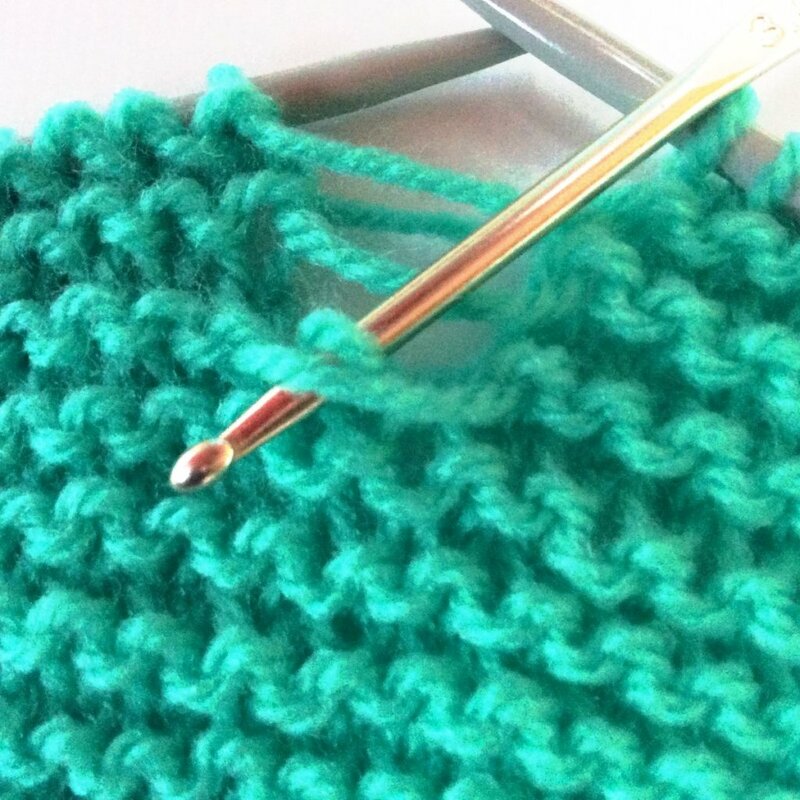 Next, insert the crochet hook into the stitch from the back to the front, grab the loose thread and pull it through the stitch on the hook. 6. Now we have made a lovely purl stitch! You can recognize it by the purl bump (horizontal) directly below the loop on the hook. 7. 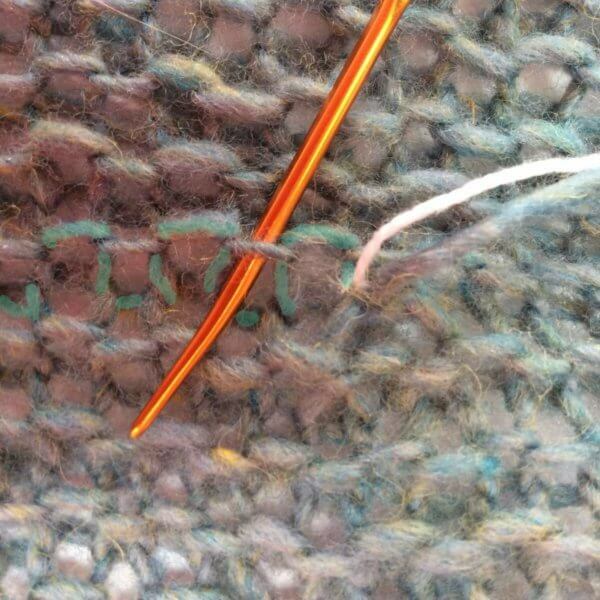 Repeat steps 1-6 as often as needed to work your way back up and place the dropped stitch back on the needle. 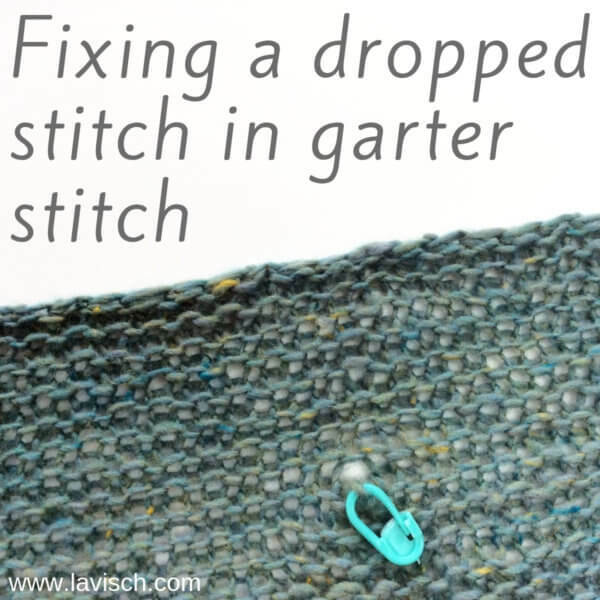 And that’s how to pick up a dropped stitch! 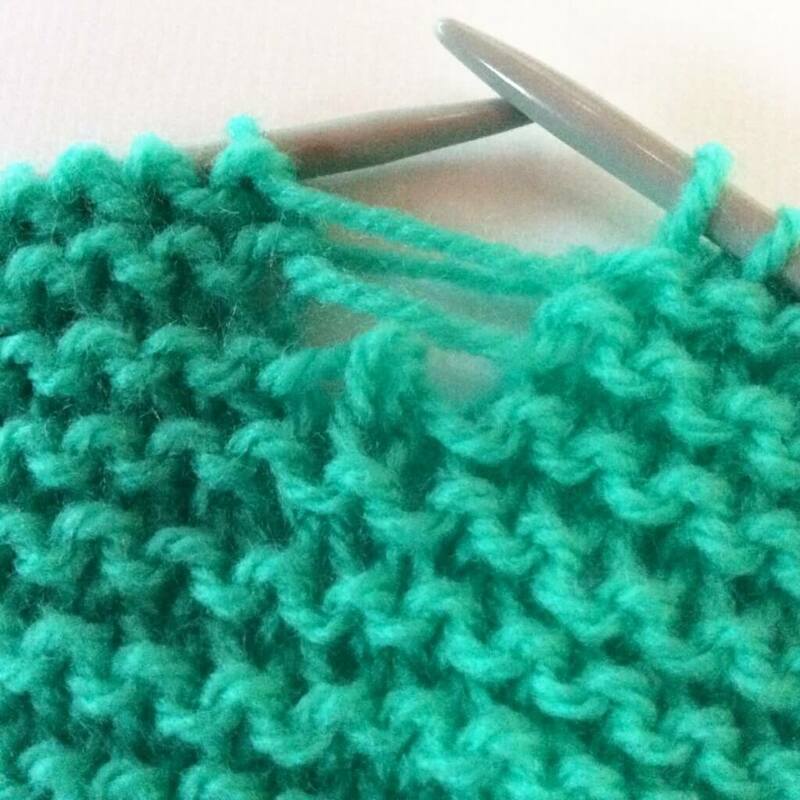 In this example in garter stitch, I started with a knit stitch. If the stitch had run down another row, though, I would have had to start with a purl stitch instead. In other words: steps 4-6 followed by steps 1-3 instead of the other way around. This is why it’s so important to learn how to read your knitting! Also, laddering a stitch back up can cause some pulling and unevenness in the fabric. This usually evens out with blocking though. 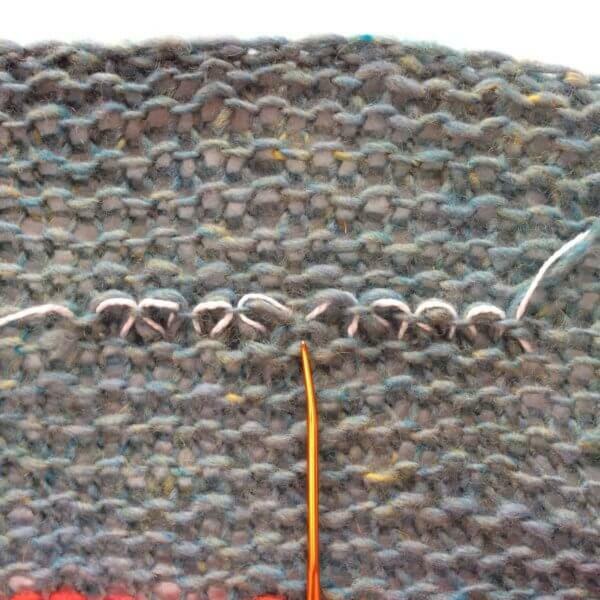 If you have a lot of difference in the tension, you can also tease the stitches back to approx. the same size using a spare knitting needle. 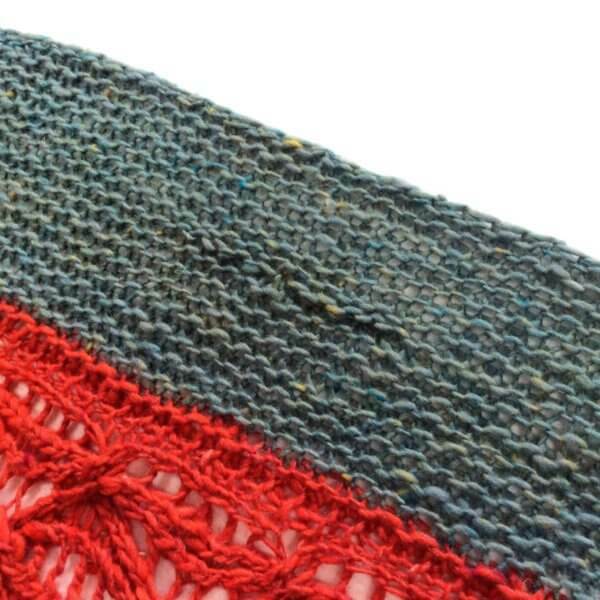 When I finished my Sirac stole, blocking was, of course, needed to let that cable & lace panel shine. 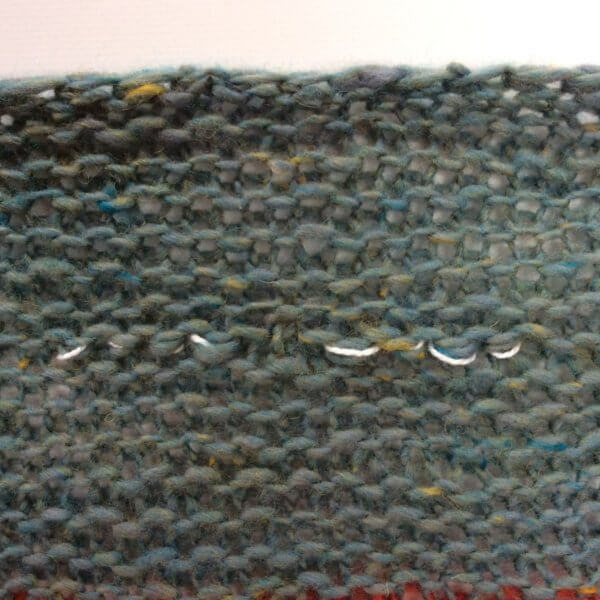 And that was when I saw it… A dropped stitch, smack in the middle of one of the garter stitch panels. I must have knit through part of the strand, breaking it when brought under tension with the blocking. Or I just missed it. Whatever the cause, I needed to fix this! To start, I just secured the dropped stitch with a locking stitch marker to prevent it from laddering down. I worked this particular project in a sticky kind of wool, but under tension, all yarn will ladder down in knitting. 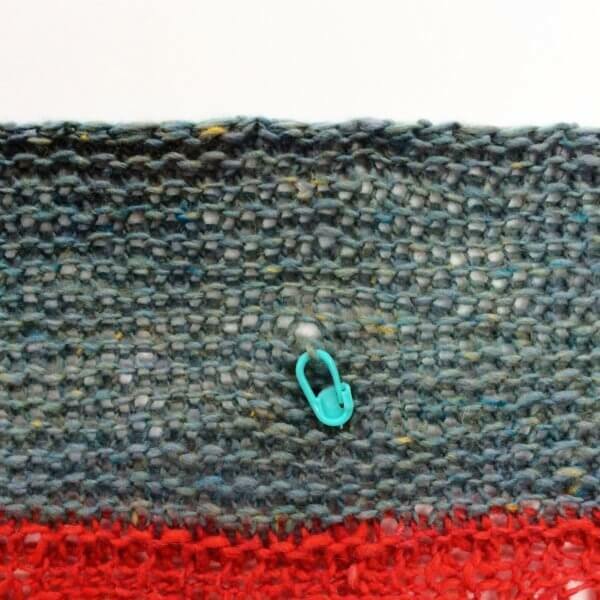 So, better safe than sorry and use that stitch marker! Normally I would use a contrasting yarn in a tutorial, so you can see better what I’m doing. In this case, however, I used the project yarn for the repair. To make it a tad better to see, I’ve held it double with some white crochet cotton and I’ve added some coloring during photo editing. 1. 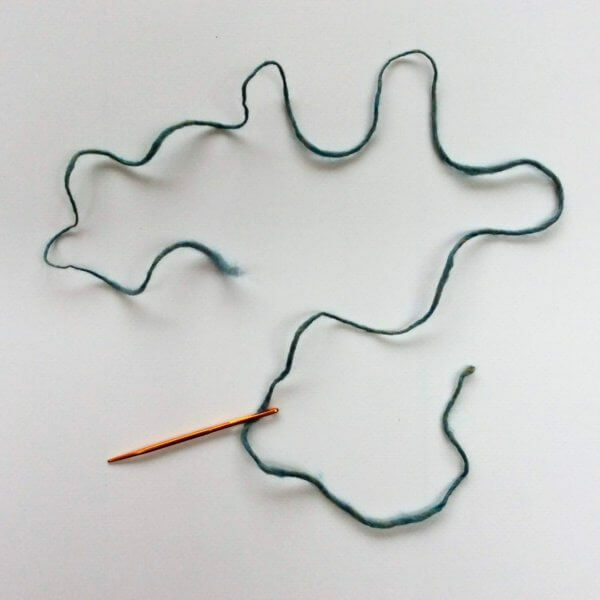 Start with threading a length of the yarn through the darning needle. Approx. 60 cm (24 inches) should be enough for single dropped stitches like this one. 2. First, thread your needle through the dropped stitch to secure it. 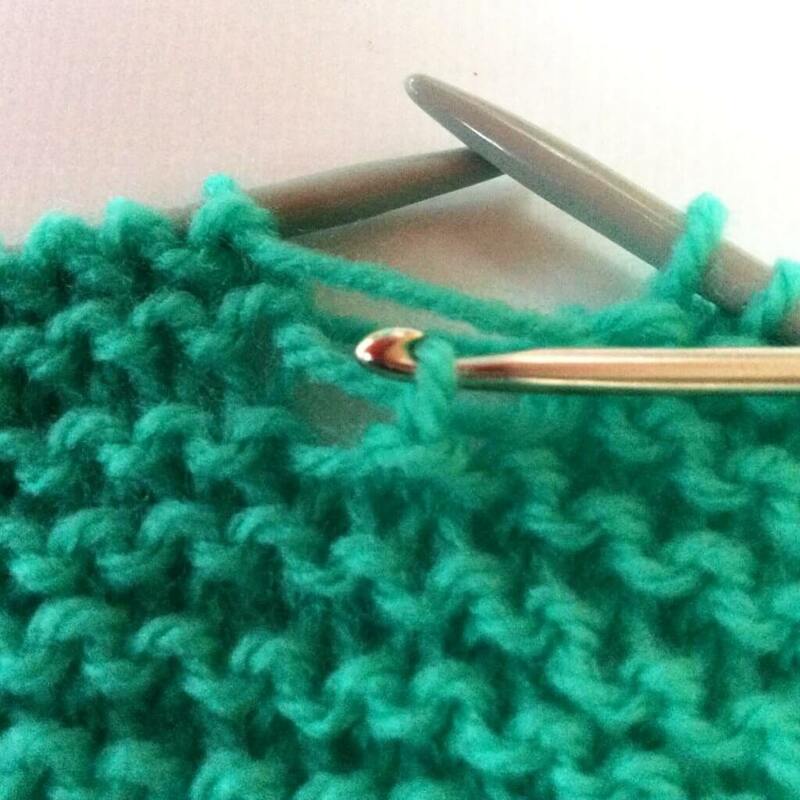 Make sure you pull about half the length of yarn through the stitch. 3. Now, with half the length of the yarn, I’m going to follow the route of the yarn in the stitches on the row the dropped stitch should have been worked in. 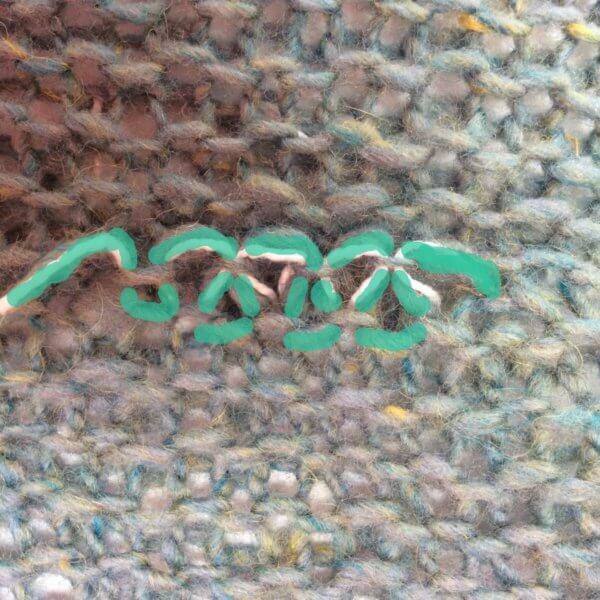 I’ve made these stitches turquoise in the picture below, to make it a tad easier to see. 4. In this picture, the side left of the dropped stitch is all done, on the far left you see the little bit of yarn tail that remains. 5. Next, repeat threading the yarn through the stitches on the right of the dropped stitch, using the other end of the piece of yarn. Below you see the result, with the yarn needle indicating the place of the dropped stitch. And yes, I know that I should have threaded the new yarn over the dropped stitch as well, to imitate the purl bar of garter stitch fabric. Now it looks a bit like a single stockinette stitch in all that garter stitch. Learn from my mistake! I know I will with any future dropped stitches in garter stitch fabric.